Learn the processes necessary to elevate your team and turn them into a High Performing Organization. Carey’s “Patient Safety” keynotes and workshops challenge, inform & inspire your employees to move to higher levels of performance and operational excellence in high-risk and sometimes dangerous environments. Managing risk is like walking a tightrope. It is a constant balancing act of identifying and mitigating safety, operational and reputational risks. These tools will allow you to survive and succeed with superior results consistently, just as Carey Lohrenz did in the demanding world of fighter aviation. As the first F-14 Fighter Pilot in the U.S. Navy, Carey Lohrenz knows what it takes to achieve life balance in one of the highest pressure, extreme environments imaginable. Balancing work and life can be a challenge. A successful career, a happy family, and a balanced personal life leave little time for many people to nurture their dreams. 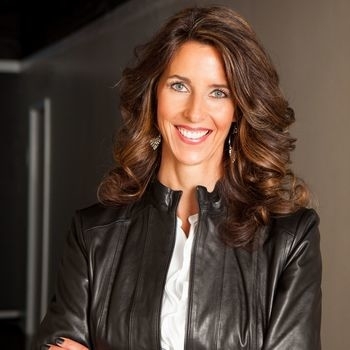 As a former Naval Officer, a corporate executive, and as a busy mother of four, Carey “Vixen” Lohrenz knows first-hand the challenges of navigating the many demands of daily life. Carey is dedicated to inspiring each person to 'Be the Catalyst’ and look beyond their circumstances. Just as pilots do a "systems check‟ before takeoff, Carey will walk you through a Pre-Flight Check on your journey towards success. To be successful and ultimately take charge of your life, overcoming lack of self-belief is one of the biggest hurdles you need to overcome. Be unwavering and purposeful in your actions. Clarity of purpose and a clear picture of precisely what you want to achieve are key factors in achieving success. Keep life‟s distractions and interruptions at bay by creating your plan - and sticking to it. In this inspiring and engaging keynote, Carey shares what it is takes to be on the ‘Leading Edge’. Those things that helped her succeed in one of the most extreme environments on earth can help elevate your team, gain advantage and uncover opportunities. In a challenging economic environment, remaining relevant to your customers and within your organization is critical to your survival. Those who fail to deliver value to their consumers, shareholders, clients and teammates become extinct. Could that happen to you? In aviation, complacency kills. Same is true in business: if you become complacent and fail to ignore the warning signs (shifts in culture, trends, global demands, budget restrictions), you could be facing extinction. In this energizing and empowering keynote Carey shares the fundamentals that helped her win in the cockpit at Mach 2, and can help your team win in business; by learning the importance of remaining relevant, how to accelerate performance, how to stay agile and adaptable, and how high performing teams become excellent. In 1994, when Carey “Vixen” Lohrenz was deployed to the USS Abraham Lincoln, there were fewer than 5 female aviators on a ship of 5000 male crew members. Facing uncharted waters in an intensely male-dominated environment, Lohrenz learned vital lessons in leadership that followed her into the corporate world. The most successful leaders share a common foundation of principles used from the flight deck to the front office. The greatest leaders from all corners of the world know how to inspire, use good judgment, take initiative and make powerful decisions – with integrity. This keynote will challenge, inform, and inspire your team to move to higher levels of performance in these difficult economic times. 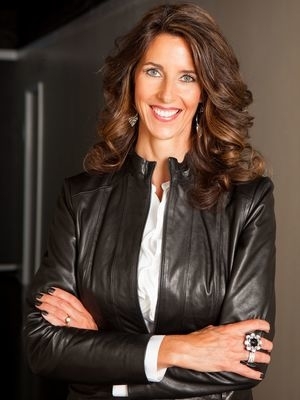 Lohrenz offers bottom-line expertise with clear takeaway items for audiences.